Tonight is our weekly soul winning night at Longview Baptist Temple. Mike Rios asked if I could pick him up for soul winning tonight and so I went by at 5:50 tonight to pick him up. While I was waiting for him to come out of the house these three men walked by and so I jumped out of the car and introduced myself. I gave each one a Gospel tract from our church and attempted to talk to them. However they only understood a little English. I joked with them a little bit as I attempted to speak Spanish. Taco and Mucho Groceries is all that I know. At that moment Mike walked out of the house and he speaks Spanish. 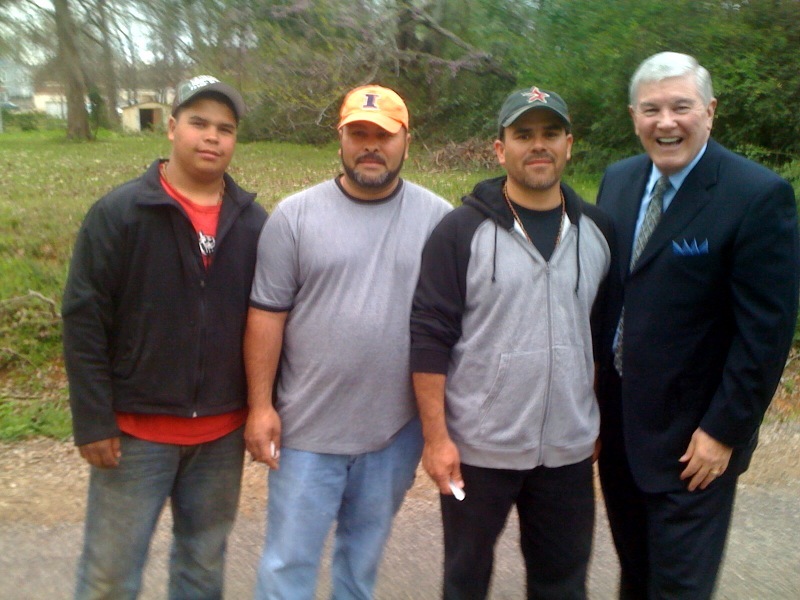 So, he translated for me and I was able to give the Gospel to these dear men. When it came time to pray they took their caps off of their heads and prayed to trust Christ to pay for their sins. They were so appreciative and promised to come to church this Sunday to be in our Spanish Sunday school department. WOW! Ephesians 2:10 at work. Ordained works! God planned this tonight. God has given me 8 souls so far this week! Gotta love soul winning! God gave me 153 baptisms last year and 506 souls saved through personal soul winning.